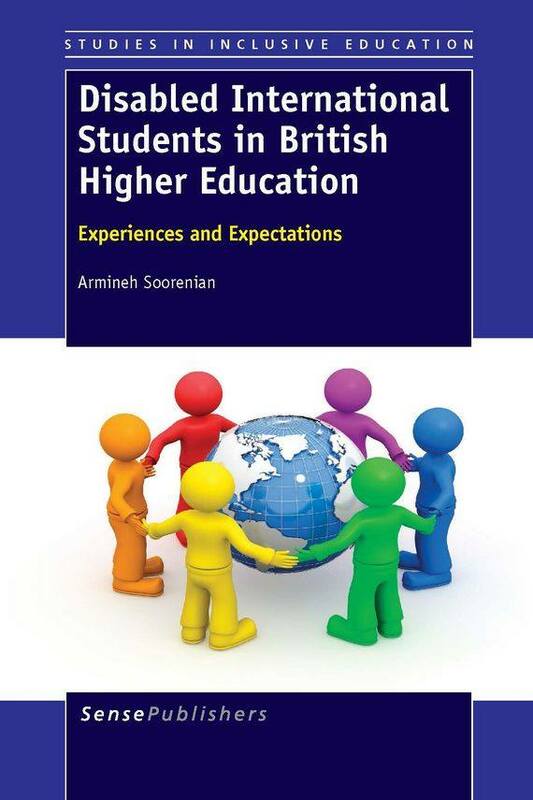 In November 2013, the Sense Publishing House published an updated version of my thesis, now entitled: ‘Disabled International Students in British Higher Education: Experiences and Expectations’. I believe this book has been beneficial to Higher Education Institutions and other education providers for working towards an inclusive culture. The effects of focussing on disabled international students’ experiences has direct ramifications, not only for those that are the central concern of my research, but also a diverse array of students that would benefit from inclusive practices in education. I am thus interested in the field of disability, education and internationalisation, with a particular emphasis on inclusive education. I am confident in continuing research in this field. Since the completion of my PhD research, I have been active in disseminating my findings through a range of international publications, for example, Malta Review of Educational Research (2017), Scandinavian Journal of Disability Research (2017), The Italian Journal of Disability Studies (2016), and Disability and Society (2013), as well as in edited collections including ‘The Future of Accessibility in International Higher Education’ (2017) edited by Alphin and Lavine. I am currently serving as a reviewer on disability-related topics for publications such as Disability and Society, Journal of Applied Research in Higher Education, and Equality, Diversity and Inclusion. In my academic work, when writing chapters for the thesis and various articles, I work independently under extreme time pressure to produce high quality work. In doing so, I have become proficient in using various pieces of software and hardware, including MS Word, Windows Mail, and Dolphin SuperNova Magnifier and Screen Reader.